A man has appeared in court charged with the manslaughter of Natasha Carruthers in County Fermanagh. Ms Carruthers died when the car she was in hit a tree on the Newbridge Road near Derrylin earlier this month. Padraig Toher, 27, of Bawnboy, County Cavan, appeared at Enniskillen Magistrates' Court. He faces nine other charges including causing GBI by dangerous driving, possession of Class A drugs and possessing an offensive weapon. He is also charged with perverting the course of justice. There was no bail application. 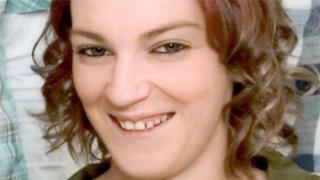 Ms Carruthers, 23, was a mother of one from Letterbreen in County Fermanagh. His solicitor told the court Mr Toher deeply regretted his role in this accident, and he extended his deepest sympathies and condolences to the family of Miss Carruthers. The judge said whatever happened in this case, this had been a tragic loss of life for Miss Carruthers and the court extended its deepest sympathy to her family and friends. Mr Toher was remanded in custody to appear again by video link on the 15 November.